Our publication about „Potential of EPUB3 for Digital Textbooks in Higher Education“ for this year Smart Learning Excellence Conference in Dubai is now online available. The slides have been already published here. Our contribution to 8th International Symposium on Embedded Multicore/Manycore SoCs on „Cloud-based service for eBooks using EPUB under the Aspect of Learning Analytics“ is now online available. Building a cloud-based e-learning platform using the approach of the research field of learning analytics is the overall goal of this research study. With the strengths of a cloud service it is possible to add value to the learning process for all stakeholders. With such a solution, the process of collecting, analyzing and interpreting data becomes rather easily. Our publication about „Potential of EPUB3 for Digital Textbooks in Higher Education“ at this year EC-TEL conference is now available. The e-book market is currently in a strong upswing. 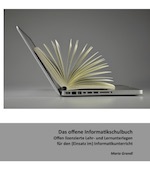 This research study deals with the question which practical uses the e-book format EPUB3 offers for (higher) education. By means of a didactic content analysis, a range of interactive exercise types were developed as a result of conversations with teachers. For this purpose, a didactic and technical concept has been developed. Different kinds of exercises were prototypically implemented in an e-book. In summary, it can be remarked that EPUB3 is suitable for a variety of different exercises and that it is able to serve as a basic format for forthcoming digital textbooks. Furthermore the openness of EPUB3 will assist Open Learning and Teaching in a meaningful way.